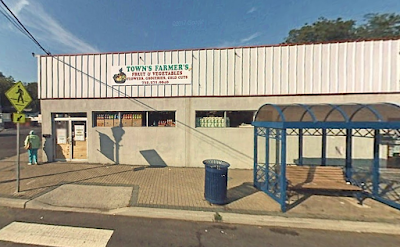 As successful as these smaller, urban stores can be, they don't always work. Here in South Bound Brook, NJ -- a fairly suburban area -- a small store at 84 Main St has been unable to hold a tenant several times. 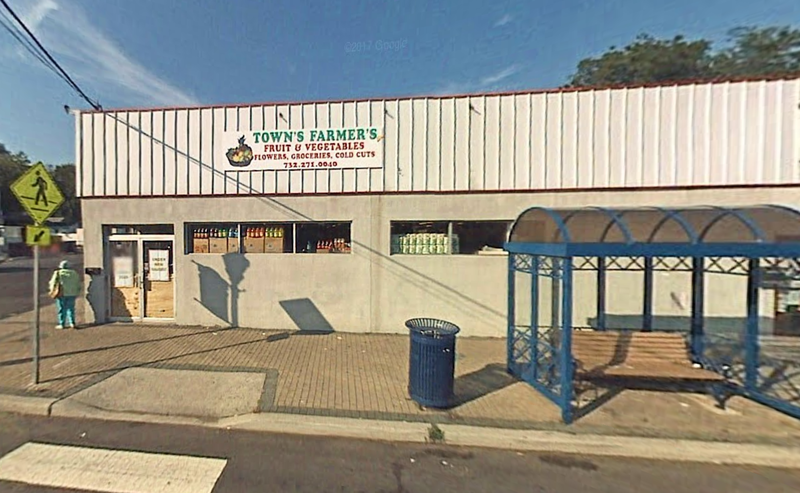 Originally "Town's Farmer's". It seems that Town's Farmer's (someone got apostrophe-happy there) was a greengrocer. 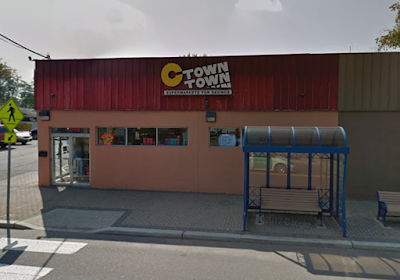 It was later switched to a CTown, possibly with different owners. 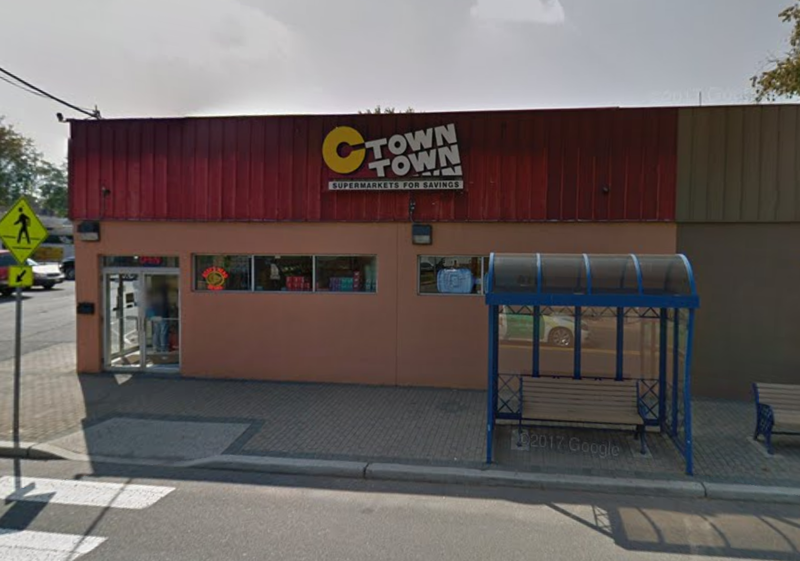 CTown didn't last and it became a Fresh Market, supplied by General Trading (not a The Fresh Market), soon thereafter. 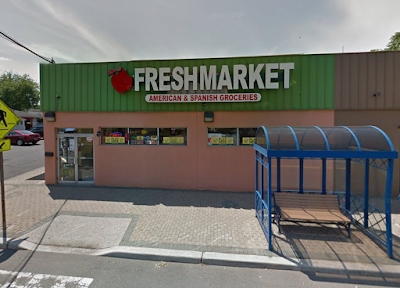 Unfortunately, Fresh Market has closed as well. The above photos are all from Google Maps (2007, 2013, 2016), and the remaining ones are mine. I got a glimpse inside the store. The entire space was completely empty -- no fixtures of any kind at all except light fixtures, of course! There were also a few guys standing inside and pointing at stuff, possibly potential tenants (although who goes to see a commercial property on a Saturday night?). The sky is beautiful. Unfortunately, the building is not.